Alessandra and Empoy did it well! And here we go again. This is another comedic masterpiece that will surely make you both laugh and cry. 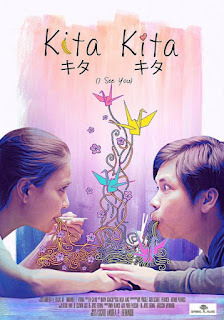 Kita Kita (I see You) is a film under Spring Films written and directed by Sigrid Andrea Bernardo. This unique film with mystical setting was supported by many celebrities and was already aired July 19, this year. This was produced by Bb. 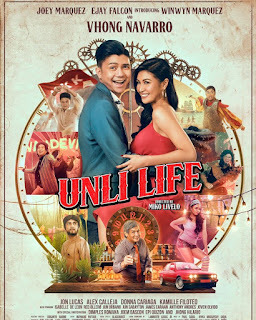 Joyce Bernal and co-produced by Piolo Pascual, starring a renowned Indie film artist, Alessandra De Rossi and his leading man, a comedian Empoy Marquez. This is their first time to be teamed-up as leads of the movie. De Rossi remarkably mentioned during an interview that he liked Empoy’s natural humor both on and off cam. Her leading man Empoy Marquez is a versatile comedian or personality who appeared many times in many various shows and movies. Though they both came from different genres and expertise, they were able to show great chemistry on screen. One more interesting fact about this film is, it was taken in the beautiful land of Japan. This is a story of a beautiful and hardworking Filipina named Lea in the person of Alessandra de Rossi, who works as a tour-guide in Japan. Due to hardships and many other possible factors, Lea suddenly lost her vision and turned out to be blind. Due to her temporary blindness, she was stucked in her house alone. She felt bitter about most things in life and totally lost her confidence as well. A not-so-handsome but hilariously funny guy named Tonyo in the person of Empoy Marquez, tried to connect and maked friends with her. Tonyo, also a Filipino, knew her situation. Her disability did not stop Tonyo to win her trust and eventually, Lea found genuine friendship and love in Tonyo. And because of his hilariousness, all they get was to laugh and forget bad things. They have shared a lot of memories and laughters together. They became really close friends and continued to know each other. Sad truth here is, Lea’s blindness was just temporary which made Tonyo decide to leave Lea the moment she regains her vision and see. Lea felt true happiness and love with Tonyo, and he just left. It is sad to know the truth that the moment you’ll have your visions back, you lost your love. This is actually a piece of art that everybody must watch. The characters Lea and Tonyo, portrayed by De Rossi and Empoy is something to be remembered and to be proud of. Will the story end that way? Is love really blind? Let’s find out.